The adorable, mischievous Niffler from the Fantastic Beasts films has its own game for the first time! 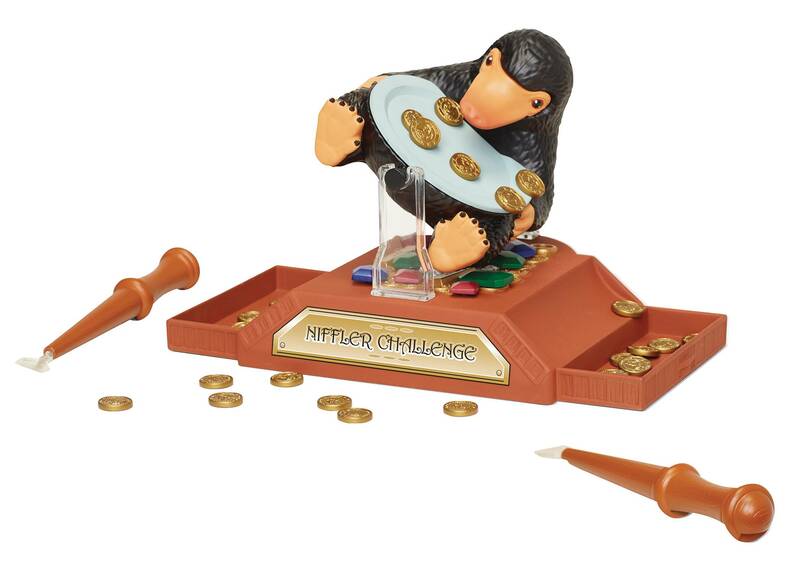 The objective of the game is for each player (2 players) to load up the Niffler using their wands with jewelry and coins until they spill into the briefcases. The first player to spill the jewelry and coins wins. 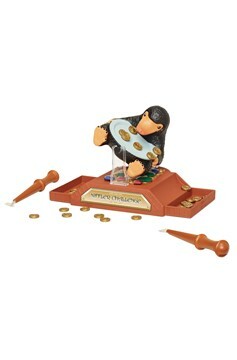 The game includes one Niffler on a rocking base, one game spinner, two wands, 64 coins and necklace pieces. Two Players..